Amazon has made a huge splash in the home electronics market since the debut of its Echo smart speaker in 2015. Now, the online retail giant is expanding Alexa’s capabilities with the launch of the Echo Show, which gives the Echo a shiny new screen on the front face of the device. 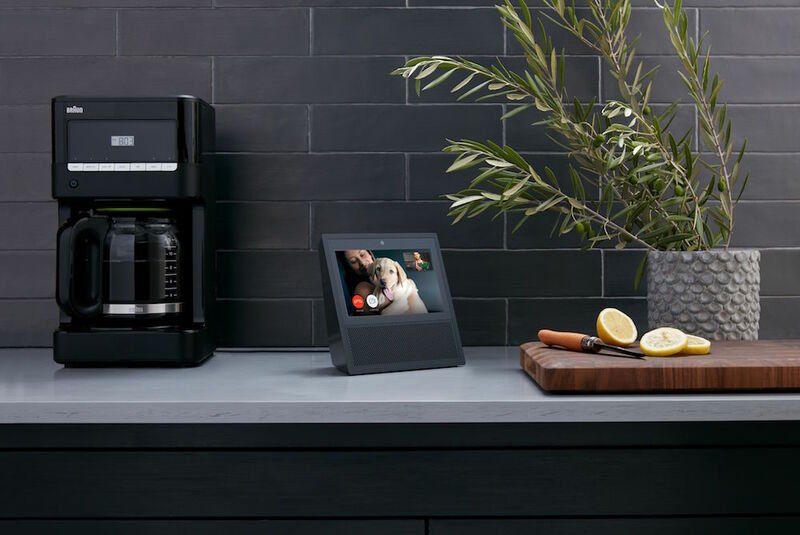 For $230, the Echo Show soups up Alexa with new capabilities, foremost of which is the touch screen, which means that Alexa can now place video calls and pull up videos from the web. The video interface enhances the speaker’s functionality as a music device as well, showing lyrics when you play your favorite tunes. The key difference between the Echo Show and any other tablet or smartphone is that the device stays plugged in at all times, and sits at a fixed angle, not unlike a digital picture frame. This makes it ideal for checking your calendar or browsing recipes while cooking, less so as an entertainment device. But Amazon isn’t positioning the product as a tablet killer, rather the interface enhances the functionality of Alexa. If you, for instance, told Alexa you wanted to order soap, then the smart assistant would show a number of different options for soap on its screen. With the original audio-only Echo speaker, Alexa was only able to re-order products you already purchased, or would just pick one on its own. Amazon also touts the Echo Show as an ideal home hub that can be used to monitor activity in and around the house. The device can control thermostats, turn on lights and more with third-party support from companies like WeMo and Phillips Hue.